Enough became enough. Like most of you I am sure, the holidays left me exhausted, unmotivated and with a couple of extra pounds on my body. Yet I found myself spinning in circles, not knowing where to begin in getting my act together, especially on the latter. I thought about buying into a food cleansing program i.e Sakara Life. Yet when I broke it down, the cost of it was way too high. I have done body cleanses in the past so I conjured up my memory of them and came up with my own plan. Two things I am personally not a fan of in a cleanse is replacing meals with drinks and adding “cleansing” supplements to your diet. That’s just my opinion though. I don’t want to introduce things I plan to take away afterwards (supplements) or replace a food diet with liquid when I will not sustain that afterwards. There is so much wonderful, nutritious, beautiful food to put in our body so why do anything else? I know there is an argument here about how well a Vitamix drink can be in terms of a nutritional meal etc., but I do not have experience with this. If anything, I use a cold-pressed juice as a snack option during the day! There are a lot of options in gluten free products right now too. Yet I lean towards food items that are naturally gluten free and not that have been made to be gluten free. I will eat brown rice but I will stay away from gluten free cookies or waffles (usually added with more sugar and sodium anyway). I am happy these products exist for those who need to maintain a gluten free diet for medical or health reasons, but in terms of a cleanse, I stick to other options. 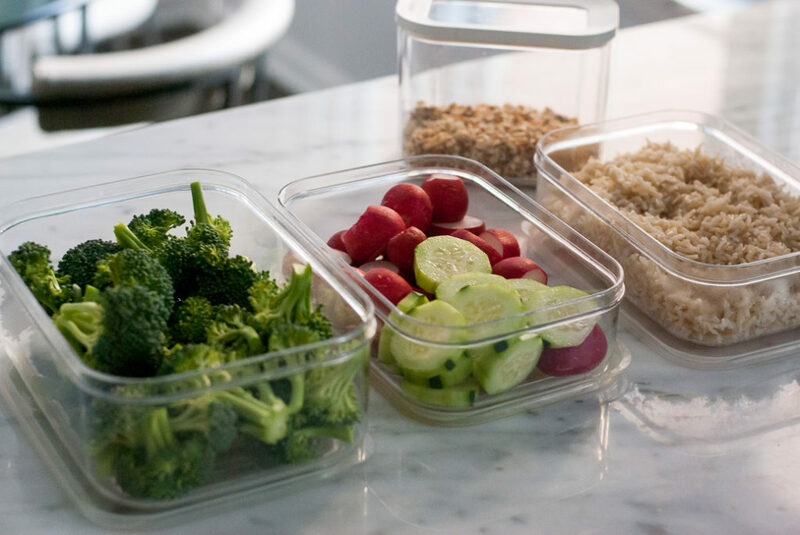 The number one way to set yourself up for success in a cleanse is being prepared! That means do all of your meal planning and grocery shopping before you start. That way, you are not left in a panic as to what to eat when you are hungry and end up eating the wrong thing. Taking this even further, it is also important to do most of your food prep ahead of time as well. 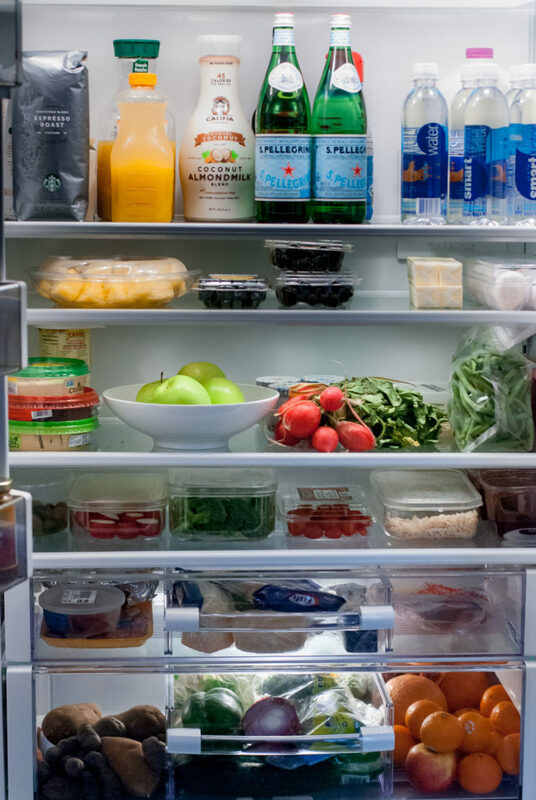 Cutting up fresh veggies, making brown rice or quinoa and hard boiling eggs and then storing these items in the fridge, make for easy meal planning and snacking. Also, make sure to have in your bag or car a healthy option to reach for when you are hungry, such as a handful of nuts or a piece of fruit. Success also means dumping the junk. Clear your cabinets and fridge of processed foods, candy and cookies. prepared salad dressings and sugary drinks. (My kids complain that all the junk is gone and we have “no food” but they are reaching for an apple instead of a cookie!) Make sure to have heart healthy oil on hand for cooking too. Olive oil, canola oil and peanut oil are great options, as well as sesame and sunflower oils. This is the most fun part of the cleanse! From a mindset, I focus on all the food I can eat, not all of the food I cannot. I list all the foods I love in fruits, vegetables, gluten free grains and protein. From there, I start meal planning. Breakfast and lunch I usually plan on my own, while I utilize cookbooks and Pinterest for dinner preparation. The Skinnytaste Cookbook is my dinner planning Bible most nights, but especially during a cleanse. Her recipes are amazingly delicious and mostly gluten free (She uses a symbol system to let you know if a recipe is gluten-free, vegetarian, etc.). 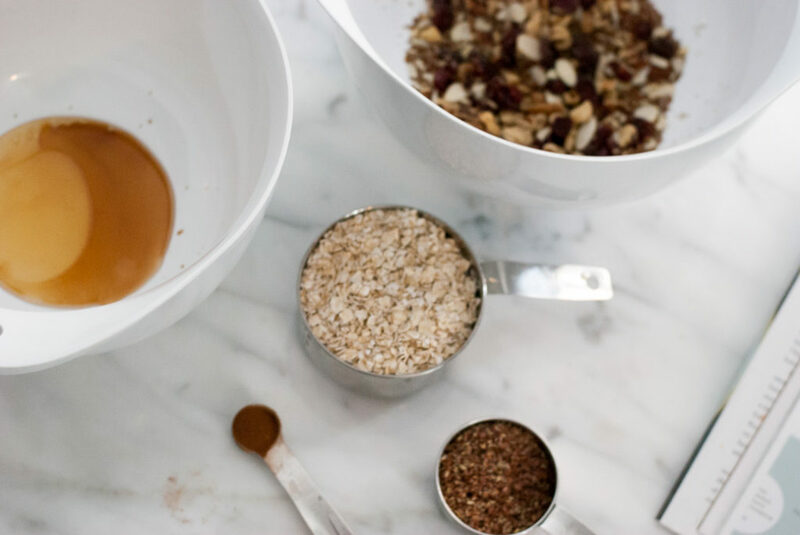 They are the type of meals that you can make for your entire family without sacrificing your cleanse. Pinterest is another great resource for recipes. I put together a board here. You can also simply enter your keyword in the Pinterest search bar, i.e. gluten free dinners, and have an abundance of recipes to choose from. You can also think about some of your favorite meals and see if you can adjust them to be gluten free, dairy free and without added sugar. I do this all the time! For instance, Mexican food is a popular option in our household. Instead of flour tortillas, use corn tortillas. Instead of adding cheese and sour cream, I add avocado, red onion, cilantro and a squeeze of lime. Taco seasoning packets often have added sugar in them, yet most of the other ingredients you already have on hand in your spice drawer. Here is a quick and simple recipe for sugar and gluten free taco seasoning. Finally, make sure your meals have plenty of healthy fats, lean protein and high fiber carbohydrates incorporated in them! These items helps us feel full and maintain our blood sugar level! Suggestions on these times are below. Olives, avocados, hummus, almond butter, a variety of nuts (skip the peanuts), pumpkin seeds, sesame seeds and olive oil. Eggs, almond or coconut milk, beans, chicken, fish, pork tenderloin, nuts and seeds. I also buy chia seeds and flaxseed (both rich in antioxidants and Omega-3 fats ) to sprinkle on salads, etc. Note. It is amazing how many items have added sugar and high fructose corn syrup in them. For instance, who would think sugar would be in taco seasoning! When reading a label, simply see if sugar is listed as an ingredient. If it is, leave it on the shelf! Rinse the quinoa under cold water in a fine-mesh sieve then pat dry. 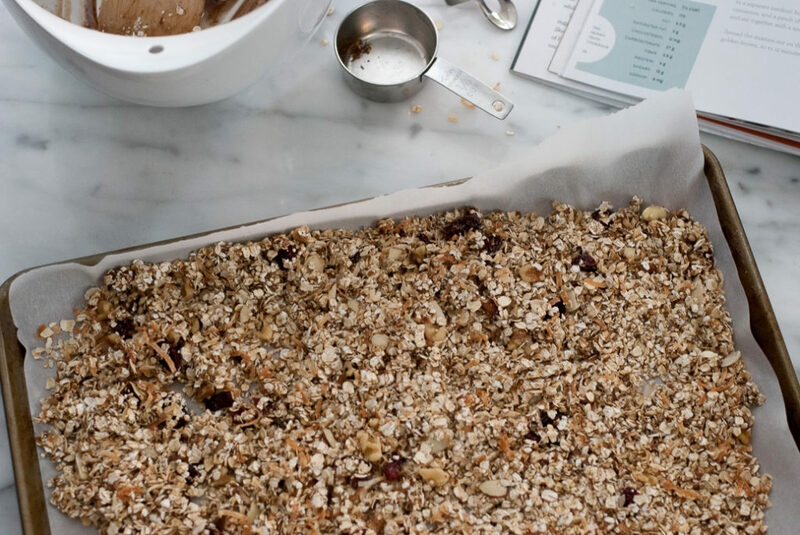 Spread the quinoa, oats and coconut on the baking sheet. Toast in the over, stirring once, until golden, about ten minutes. 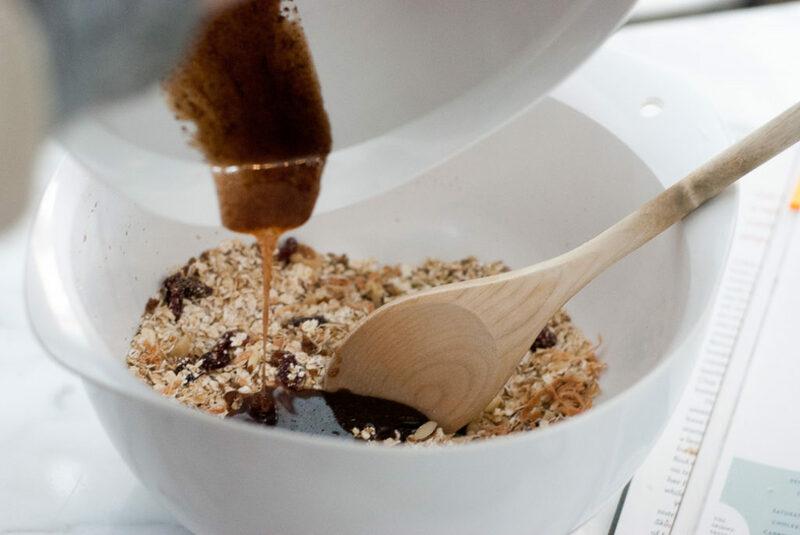 In a separate medium bowl, combine the honey, oil, vanilla, cinnamon and a pinch of salt. 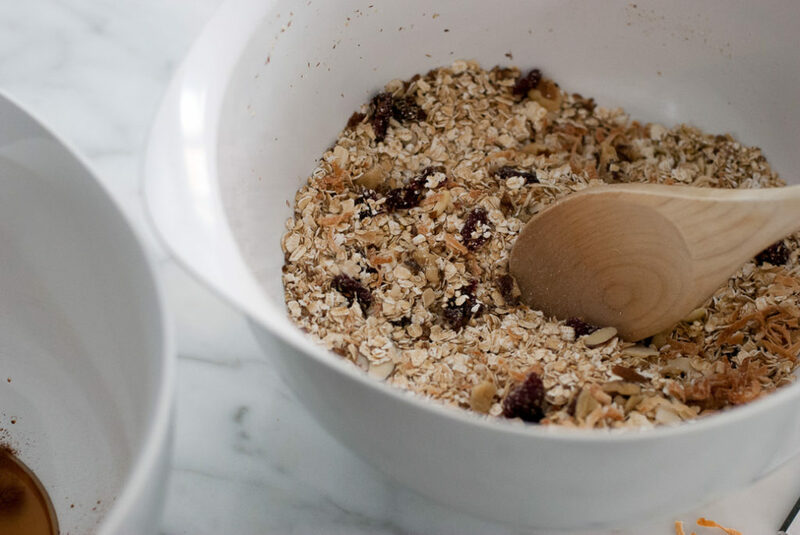 Pour the mixture over the oats and stir together with a spatula. 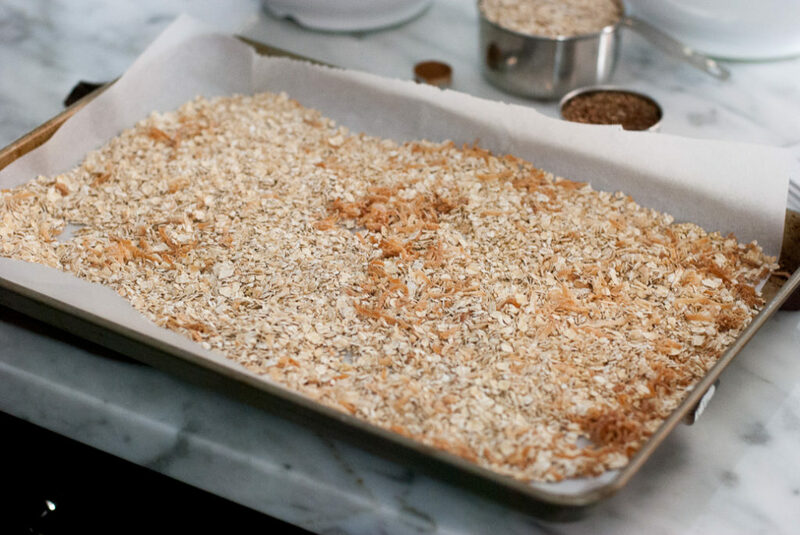 Spread the mixture on the lined baking sheet. Bake until golden brown. 10 to 12 minutes. I generally stick to two options for lunch but both provide a lot of variety. As I have shared before, I am a big fan of protein bowls. Ideas for all the ways you can put them together can be found in this post here! Another option I love is avocado toast. Ezekiel bread is a great substitute for flour based breads during a cleanse (does contain some gluten though). Made up of naturally sprouted grains, it tastes just like wheat bread but without the flour. 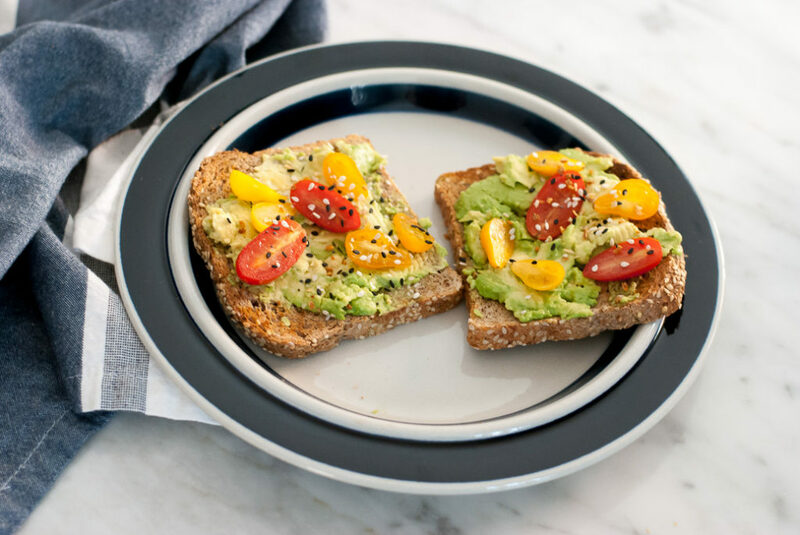 I toast two pieces, spread on a ripe avocado and add all sorts of colorful options to the top layer. My favorite combination is cherry tomatoes sprinkled with 1 tsp. of chia seeds and Trader Joe’s “Everything But The Bagel” seasoning. Note. I buy a bag of small sized avocados at Trader Joe’s. The portions are perfect for one person. Because dinner usually means I am also cooking for my family, it is important I find satisfying and delicious meals. No “weird” food allowed according to my kids! As mentioned, adjusted Mexican food is always a great option. Chicken Lettuce Wraps Serve with brown rice. Chicken and Mushroom in a Garlic White Wine Sauce (use low sodium chicken broth. Use rice flour or omit flour. Omit butter.) Serve with roasted veggies, green salad and couscous. Italian (Chicken Sausage) with Peppers and Onions (Skinnytaste Cookbook). Serve with roasted potatoes and green salad. Cilantro Lime Steak Strips (use olive oil instead of Ghee.) Serve with couscous and roasted broccoli. Jalapeno Turkey Burgers Serve with roasted sweet potatoes. For more recipe inspiration head to my Pinterest board. The first two days of any change in diet for the better usually goes pretty well. Yet by the time day 3 and 4 rolls around, I find myself on the struggle bus. It is hard to beat the cravings, especially at night. To help stay on track, I find practicing self-care pampering helps. I love taking a hot bath at night with detox bath salts. I immediately feel relaxed afterwards and truthfully, too tired to eat. Another distraction is applying a face mask. I am always picking these up to have on hand! Other ideas: apply or diffuse lavender essential oil, exfoliate, head to a yoga class, book a massage, get a mani/pedi! Do things that make you feel good and keep you in the frame of mind that taking care of yourself is a priority! Another huge tip for success is to drink water and lots of it. Often times we mistake hunger for dehydration. I stock up on Smartwater and leave some in my car. I also add drops of lemon essential oil for added flavor. Finally, make meal prepping and planning enjoyable. I try to do as much as I can when my house is quiet and I am by myself. Make your kitchen your oasis by lighting a candle and turning on music or your favorite podcast. By the time day five hits, I am really starting to feel good. If I could use one word to describe the change it would be “lighter”. I feel lighter. The moment this awareness happens, the want to continue with these healthy eating habits becomes so much easier. Cravings greatly subside as well. I mentioned on my Instagram stories that I would be stopping the cleanse after a week, as I was heading to NY. Even though I had wine, some bread and an occasional dessert when there, I was more mindful of portions and balance. When I returned on Sunday, I went right back to my healthy eating plan. I am not sure how long I will do this for. I am thinking that I will practice clean eating five days a week and then be less strict with my diet on the weekends. Having a drink, a dessert or a slice of pizza is reality. The point is to make most of your diet as clean as possible. If you plan to start this, commit for at least one full week with no “cheating”. I promise you will feel better, look better (I have lost a good 1/2 inch from my waist line and my stomach is much less inflamed) and sleep better. I would love to hear your thoughts, be a source of support or learn about what cleanses have been successful for you!